Star Micronics offers a full line of innovative and reliable POS and mPOS receipt printers accompanied by our new line of high-quality, affordable paper. Star paper rolls work efficiently with your printer to extend the life of the print head, provide longer paper lengths for fewer paper changes, and prevent jams and clogs. Star paper rolls support warranty compliance and are offered in convenient pack sizes. 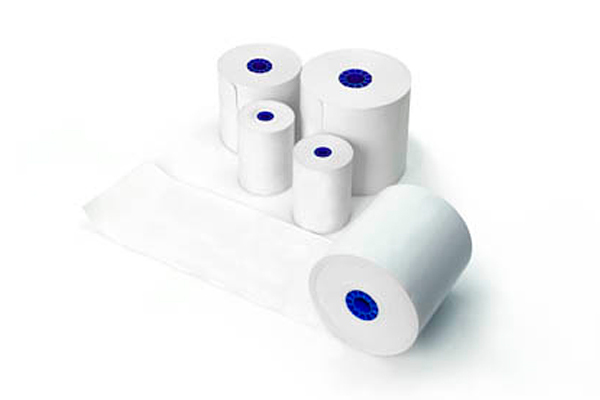 Star Micronics printer paper rolls are easily recognized by the Blue Core. Star Blue Core rolls are premium grade with a superior touch and feel, are BPA free, provide a long shelf life, increase image protection, and are thoroughly tested to provide a guaranteed fit. For all budgets and applications, Star Micronics can provide the printer and paper that provides crisp, clearly legible receipts every time.